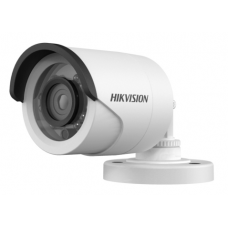 Hikvision DS-2CE56C0T-IT3F IR Dome CC Camera is built in 1 MP CMOS image sensor, 1296 (H) ×732 (V) Effective Pixels and Min. illumination 0.1 Lux (F1.2,AGC ON),0 Lux with IR. 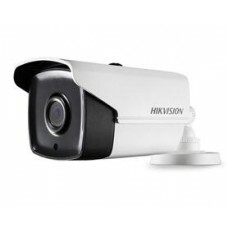 It has 1/25 (1/30) s to 1/50,000 s Shutter Time, 3.6 mm (2.8 mm, 6 mm, 8 mm, 12 mm, 16 mm optional) lens with M12 Lens Mount. In this CC Camera , the Angle Adjustment Pan is 0°to 360°, Tilt is 0°to 75° and Rotation is 0°to 360° with Internal synchronization. 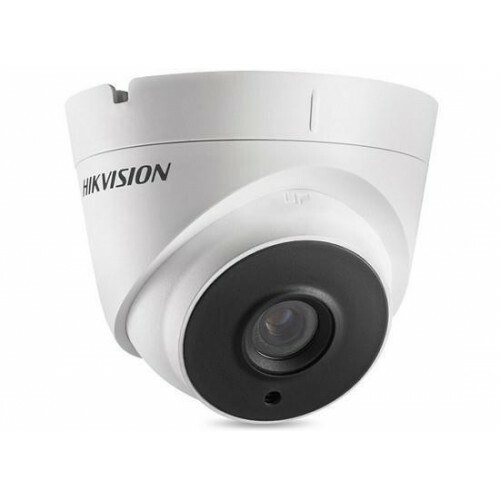 The DS-2CE56C0T-IT3F IR CC Camera has 720p 25fps/720p 30fps Video Frame Rate, 1 analog HD video output, >62 dB S/N Ratio, -40 °C to 60 °C (-40 °F to 140 °F), Humidity: 90% or less (non-condensation) Operating Conditions, 12 V DC±15% Power Supply 12 V DC±15%, Max. 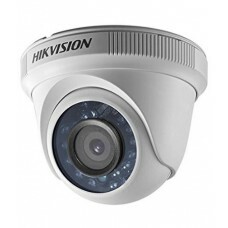 4 W Power Consumption, IP66 Protection Level I, Up to 40 m IR Range, Φ110 mm × 93.2 mm (4.33" × 3.67") Dimensions, 350 g (0.77 lb.) weight with providing 01 year warranty.